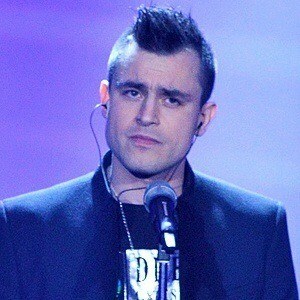 Slovenian singer who first became known for representing his nation in the 2005 Eurovision Song Contest. He would again represent Slovenia in the 2017 Eurovision Song Contest with "On My Way." He released his debut self-titled album in 2005. That same year, he won Bitka talentov, Slovenia's Battle of the Talents. The competition won him his spot in the Eurovision Song Contest. He has a band called Kareem. The group released their own eponymous album in 2007. His father hails from Jordan and his mother from Slovenia. Both he and Claudia Faniello were competitors in the 2017 Eurovision Song Contest.